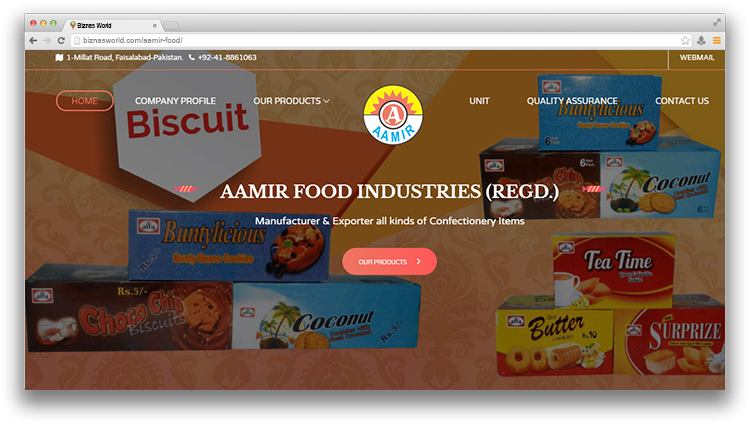 Description AAMIR FOOD INDUSTRIES (REGD.) is located in Faisalabad, Pakistan. Company is working in Food Retailers, Sweet Shops business activities. Address P-3795, MILLAT ROAD, FAISALABAD.